This tiny house uses the Tumbleweed Cypress 18 tiny house plan. 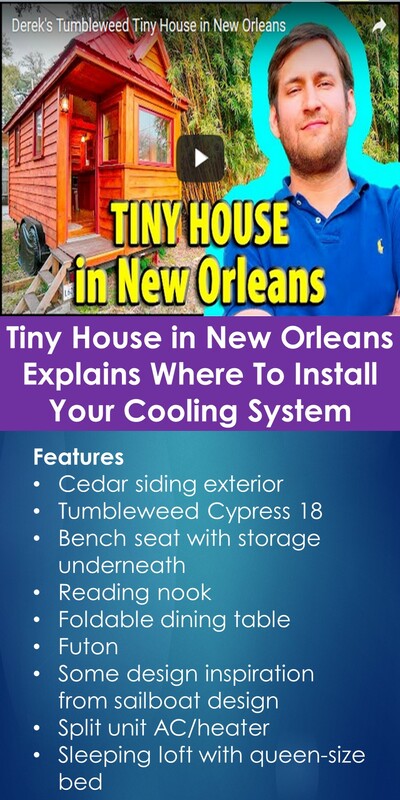 Derek, the owner of this tiny house, also talks about the best position to put the cooling system in a tiny house. Some of the features in this house include foldable dining table and a bench seat with storage underneath it.